This family-friendly Singapore aparthotel is located near the airport, within a 5-minute walk of Orchard Road and Fort Canning Park. Bugis Street Shopping District and National Museum of Singapore are also within 10 minutes. Bras Basah Station is only a 4-minute walk and Dhoby Ghaut Station is 8 minutes. 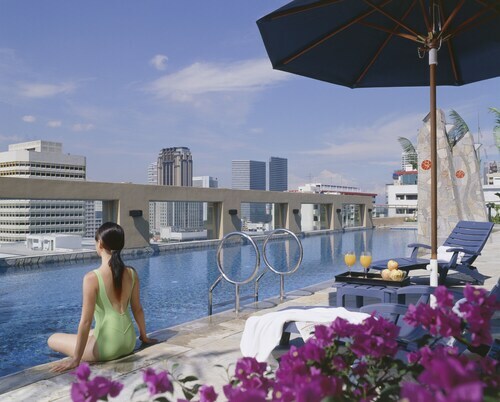 Located in Downtown Singapore, this apartment building is within a 10-minute walk of UE Square and Clarke Quay Mall. Plaza Singapura is 0.7 mi (1.2 km) away. Fort Canning MRT station is 5 minutes by foot and Clarke Quay Station is 13 minutes. 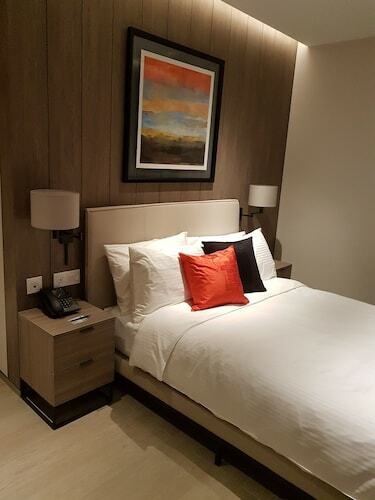 This family-friendly Singapore aparthotel is located in Orchard, within 1 mi (2 km) of Far East Plaza, Orchard Road, and Gleneagles Hospital. Lucky Plaza and Mount Elizabeth Medical Center are also within 1 mi (2 km). Orchard Station is 15 minutes by foot and Newton Station is 24 minutes. Located in the center of Singapore, this family-friendly aparthotel is within a 15-minute walk of Singapore River and Orchard Road. Robertson Quay and Takashimaya Shopping Centre are also within 1 mi (2 km). Tiong Bahru Station is 14 minutes by foot and Redhill Station is 19 minutes. 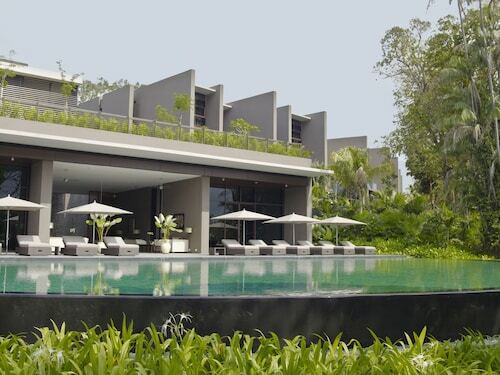 Located in Orchard, this aparthotel is within 3 mi (5 km) of Newton Circus, Singapore Botanic Gardens, and Merlion. East Coast Park and Marina Bay Sands Skypark are also within 6 mi (10 km). Orchard Station is 16 minutes by foot and Somerset Station is 27 minutes. This family-friendly Singapore aparthotel is located in the entertainment district, within a 5-minute walk of Singapore River, Orchard Road, and Fort Canning Park. Clarke Quay Mall and Robertson Quay are also within 10 minutes. Fort Canning MRT station is 6 minutes by foot and Clarke Quay Station is 9 minutes. Located in Kampong Glam, this aparthotel is within a 10-minute walk of Haji Lane, Sultan Mosque, and Suntec City. Bugis Street Shopping District and East Coast Park are also within 1 mi (2 km). Nicoll Highway Station is 7 minutes by foot and Bugis Station is 8 minutes. 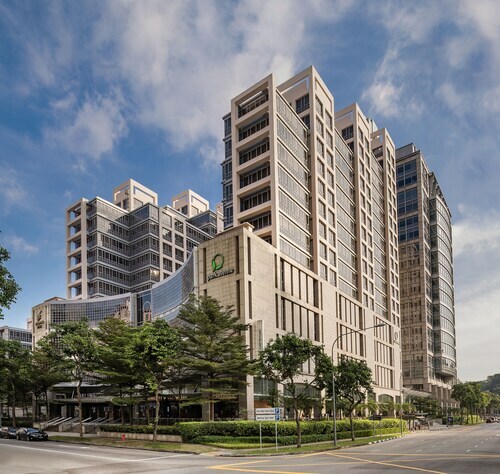 Located in Orchard, this apartment building is within 1 mi (2 km) of Far East Plaza, Orchard Road, and Gleneagles Hospital. 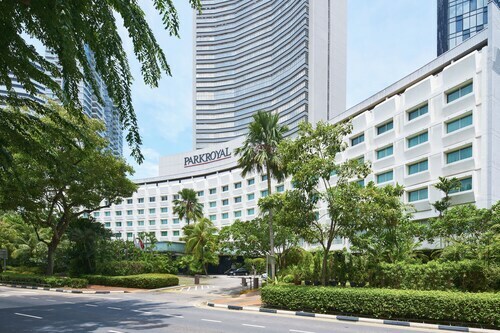 Singapore Botanic Gardens and The Paragon are also within 2 mi (3 km). Orchard Station is 22 minutes by foot and Botanic Gardens Station is 26 minutes. Situated near the beach, this luxury apartment building is within a 15-minute walk of Madame Tussauds and Adventure Cove Waterpark. Universal Studios Singapore™ and S.E.A. Aquarium are also within 1 mi (2 km). 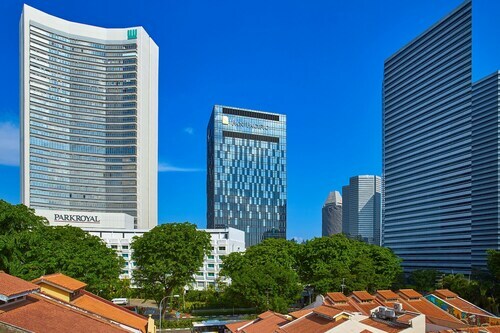 Located in Financial District Singapore, this luxury aparthotel is within a 10-minute walk of Shenton Way, Raffles Place, and Merlion. Marina Bay Financial Centre and Merlion Park are also within 10 minutes. Raffles Place Station is 7 minutes by foot and Marina Bay Station is 13 minutes. Located in Kampong Glam, this apartment building is within 1 mi (2 km) of Raffles City, Singapore Flyer, and National Museum of Singapore. Boat Quay and Chinatown Heritage Center are also within 2 mi (3 km). Nicoll Highway Station is 8 minutes by foot and Bugis Station is 8 minutes. 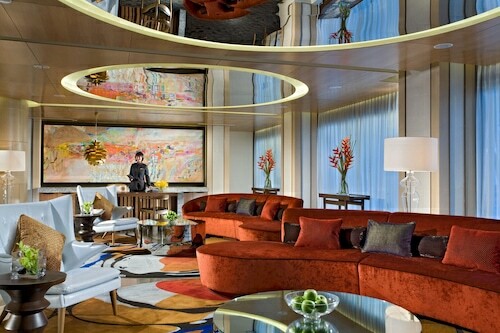 Located in the center of Singapore, this family-friendly aparthotel is within a 5-minute walk of Singapore River and Robertson Quay. Orchard Road and Fort Canning Park are also within 10 minutes. Fort Canning MRT station is 8 minutes by foot and Clarke Quay Station is 16 minutes. 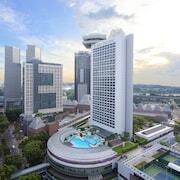 What amenities should I look for at Singapore serviced residences? Family-friendly fun: Many apartments in Singapore offer ‘kids stay free deals’, which means that children under 6 stay free with existing bedding. Many apart-hotels here also have swimming pools, which is a great way to keep the little ones distracted while you relax. 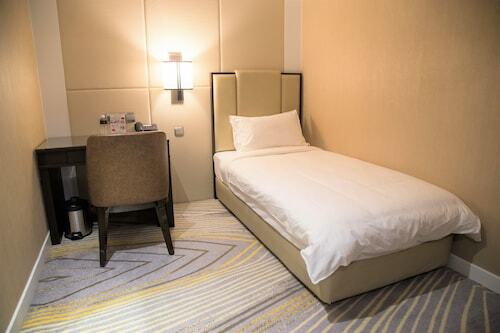 Business perks: Business travellers will love amenities like room service and 24-hour business and fitness centres, all ideally suited to the busy traveller. Great locations: You’ll find serviced apartments in all the best areas of Singapore, from shopping districts to under-the-radar gems that only locals know about. Whether you’re here for the experience, the food, or the best selfies, you’ll find residences in a great location. 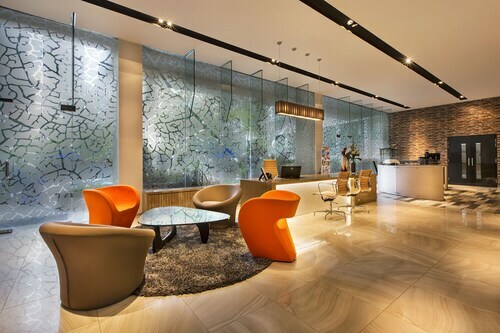 Where should I book serviced apartments in Singapore? Downtown Core: As the name implies, downtown is right the middle of all the action. You’ll be conveniently located to shopping, nightlife, and dining that ranges from casual street food to five-star delicacies. 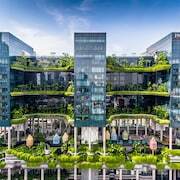 Plus, you’ll be close to museums like the National Gallery Singapore, and Marina Bay, home to the famous Gardens by the Bay. 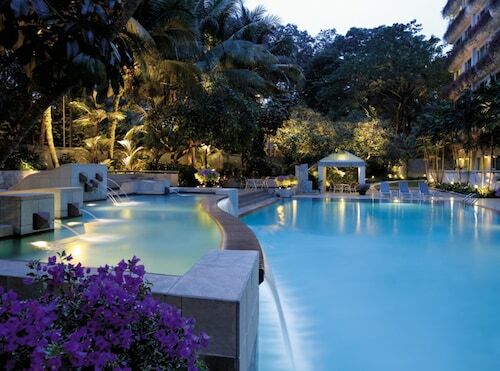 Pan Pacific Serviced Suites Beach Road is perfectly placed near all the main attractions. Orchard Road: The is the spot to shop ‘til you drop. From Singapore’s oldest department store to luxury shopping mall ION Orchard, it would take weeks (maybe months!) for you to browse every rack here. And if you ever want to do something else—not that you would—you’ll have the Orchard MRT Station to take you into the city centre. At Pan Pacific Serviced Suites Orchard, your 1-bedroom suite has plenty of room for all your shopping bags, and Treetops Executive Residences offers from 1 to 3 bedrooms (plus a penthouse for true luxury). 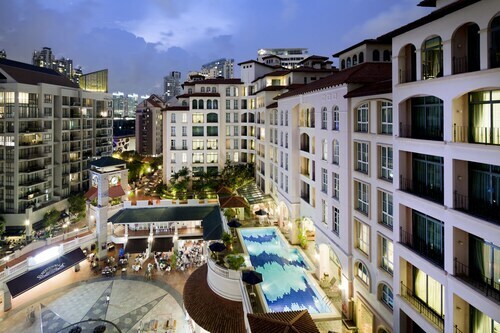 Robertson Quay: If you want to get away from the tourist crowds, head to the locals’ favourite. Savour street food at Lau Pat Sat Market or duck into one of the many waterfront bars and cafes. Head east to Clarke Quay to check out historical sights like Fort Canning and catch live music at Highlander. Fraser Place Robertson Walk is centrally located to all this and more, so you can live like a local while you’re here. Very impressed with the complete set up and will use again and recommend to friends..